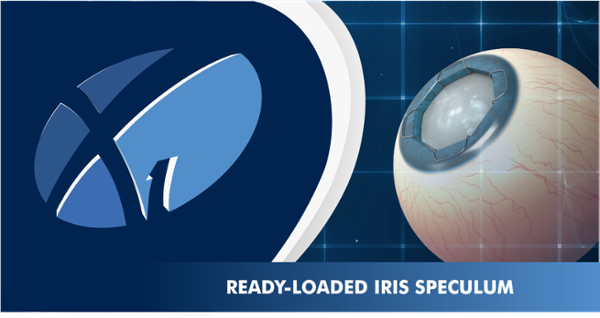 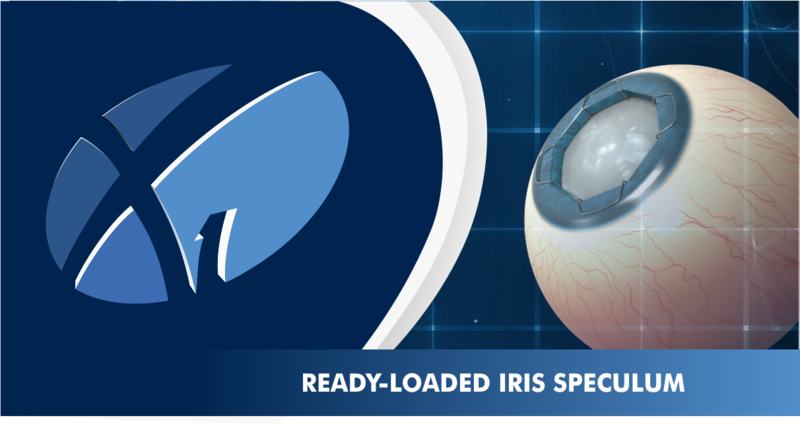 The X1 Ready-Loaded Iris Speculum is Ophthalmology's first iris expansion device that is ready-loaded in the injector to assist surgeons during complicated cataract cases for small pupil management and IFIS complications. Ready-Loaded during the manufacturing process, the X1 offers the ultimate in convenience and consistency. 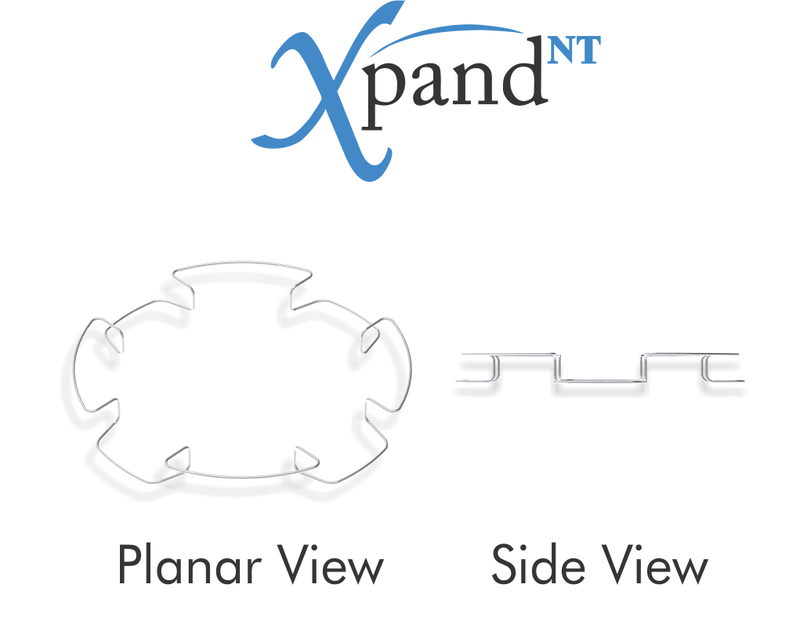 A flexible tool designed for surgeons. 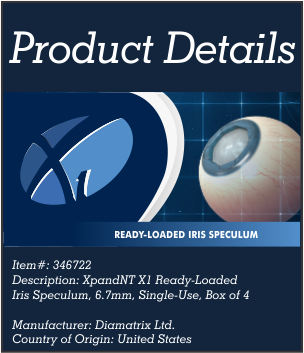 The X1 Ready-Loaded Iris Speculum is designed to be used in the management of small pupil and IFIS. 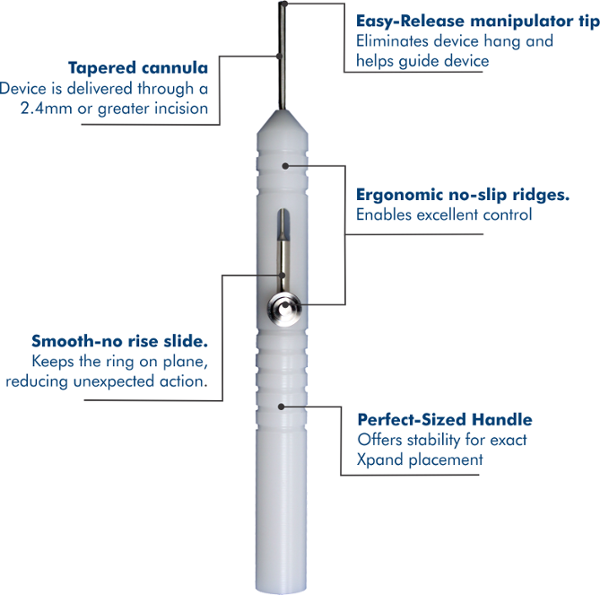 In the hands of a capable surgeon, it can be used as a valuable tool. Never Pinches the pupillary margin. 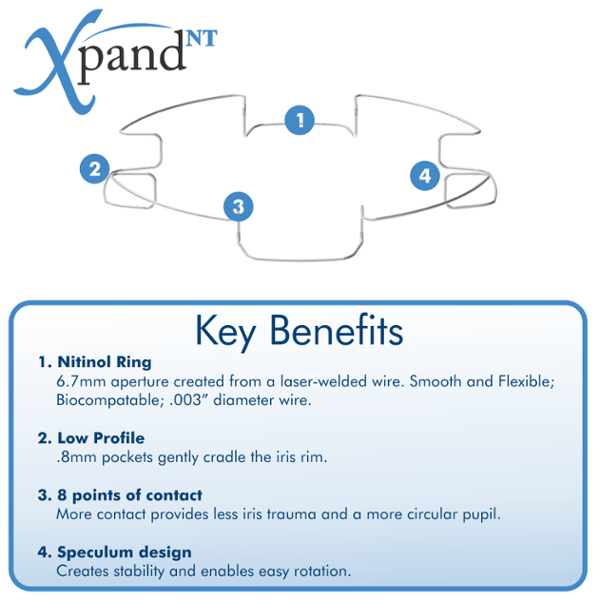 The unique speculum design of the device cradles the iris in shallow pockets, placing minimum stress on the iris sphincter. 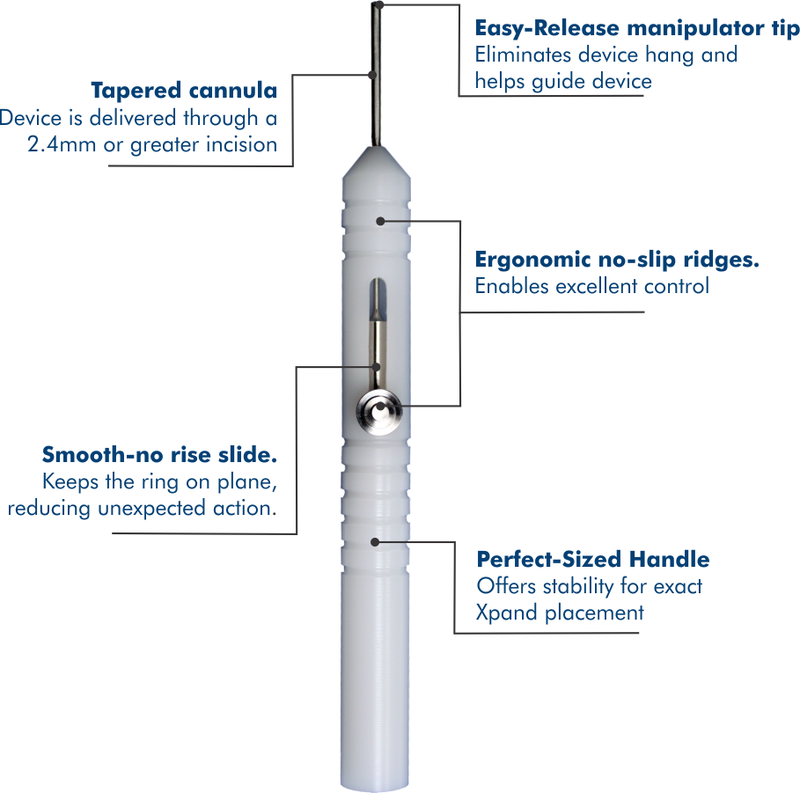 Easy to rotate. 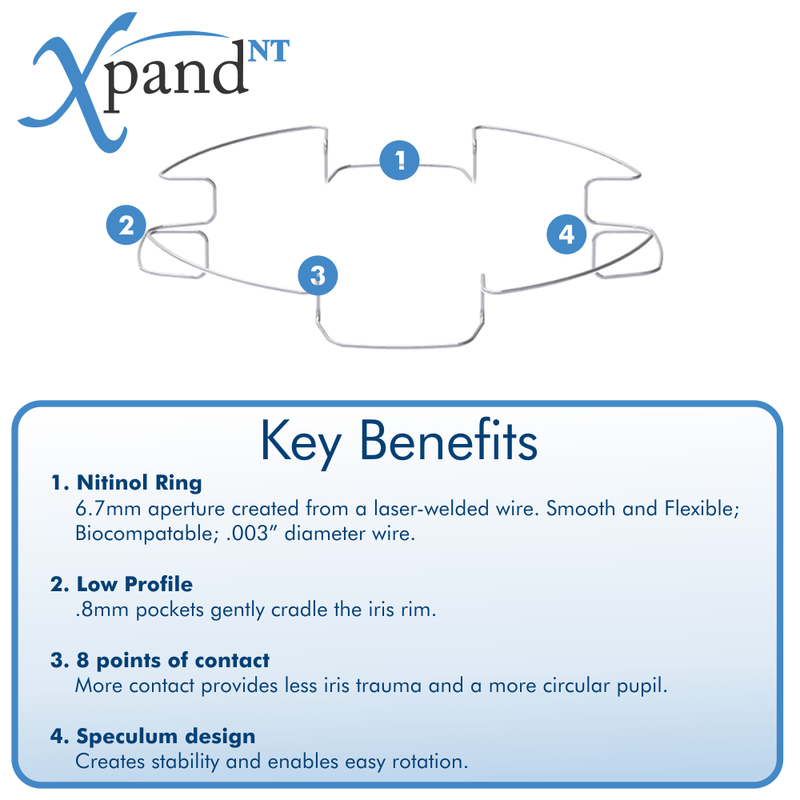 The X1's performance intra-operativly allows surgeons the ability to easily rotate and reposition the device without having to completely remove the device from the anterior chamber.